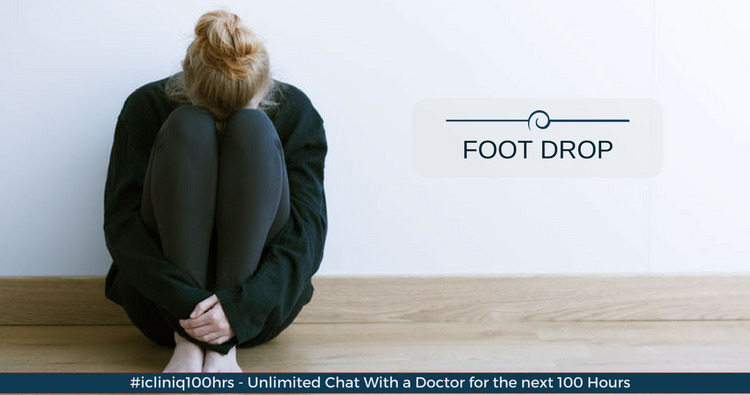 iCliniq › Ask a doctor online › Answers › Neurology › Foot Drop › Can anxiety cause foot drop and twitches in the body? Q. Can anxiety cause foot drop and twitches in the body? I am a 26 year old female, and I developed foot drop five weeks ago, the foot was numb, and I could not dorsiflex it. But, now I can dorsiflex, and the steppage gait has disappeared unless I walk long distances. I have more power in the foot now, but it is still a lot weaker than the other one, I cannot walk on my heels yet. However, I have been extremely anxious about this foot drop, and a couple of weeks ago I started to twitch, first in the legs and then all over my body, I can see the twitches. When I am talking with someone and thinking about something else, the twitches go away and come back when I think about it. I do feel weak in my body, especially in the legs. Can it be due to the anxiety? I am going to a neurologist, but there is a three months waiting period, and I am scared. I do not think we have had any ALS in my family. Please help me ease my mind. • Kindly tell me whether the cramps I am experiencing are due to ALS or MND. • Are my ALT and ALS levels alarmingly high? It is good that your foot drop is improving in a five weeks period. The twitches that you are feeling may be due to anxiety also. If it was ALS (amyotrophic lateral sclerosis), the foot drop would be unlikely to improve. As it is improving, it is unlikely to be ALS. Did you undergo any medical investigation for this foot drop? Are you taking any medications for it? I suggest you undergo the following investigations. MRI of the spine, with a screening of the entire spine. NCV (nerve conduction velocity) of all four limbs. There can be many causes for foot drop. You should meet a neurologist for investigations to find reasons for foot drop and its proper management. Thank you for the reply. I do not take any medication for the foot drop, apart from vitamins and physical therapy twice a week. The doctor thought the drop foot was due to peroneal nerve entrapment when I cross my legs, so I stopped doing that. But since I wanted a referral to a neurologist, she fixed it but, it can take up to three months. The numbness of the foot has gone away. The twitches are slightly better some days also, mostly feel them in the calfs and above the knee. How common is non-familial ALS under the age of 30? Non-familial ALS is a very uncommon disease. But the rare disease can also happen. But your symptoms do not seem to be of ALS because there is no significant improvement in ALS. You seem anxious about fear of ALS, which might be exaggerating your twitches. It may be due to common peroneal entrapment. But, it can be due to other neuropathy or myelopathy also. You must undergo investigations for it. I suggest you take an appointment with a neurologist early.